Based on reviews from 3,442 experts and 376,814 users. 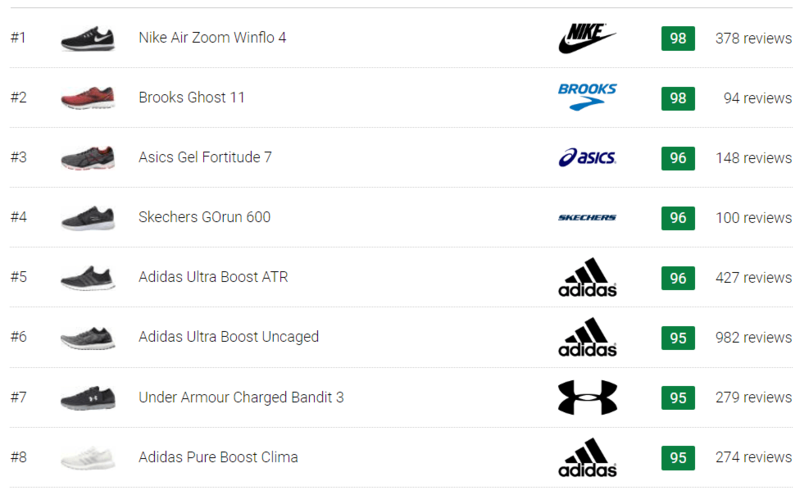 Learn how our rankings work or see our guide to neutral running shoes. Updated Apr 2019. When running, we need the right kind of support from shoes to prevent pain and lessen the chances of injury. We can do this by putting on running shoes with the right features and support components. Neutral running shoes have a well-cushioned midsole, a form-fitting upper, an outsole that can go the distance and a neutral arch. Seasoned runners will definitely know how significant the mentioned features for neutral running shoes are, but if you are a beginner, you might need some help understanding what a neutral running shoe is all about. But, whether you are new to the running scene or not, you can use this guide to help you choose a neutral running shoe that best fits your needs. It would be difficult to understand the essence of neutral running shoes if you don’t understand pronation first. Pronation is the inward rolling of the foot to optimally distribute the impacting force while landing. Pronation is a normal physiological occurrence as it is essential for shock absorption and weight distribution. It also allows the runner to toe-off evenly from the ball of the foot. Essentially, we have three arch types. The amount of which a runner pronates depends on the size and strength of the foot arch. Formed by bones, ligaments, and tendons, your arch is the raised area on the bottom of your foot. If you have low arches, commonly known as flat feet, you have the tendency to over pronate. If your arch is just the right height, then you are a neutral pronator. However, if your arches are high, you may be a supinator, meaning that your foot doesn’t roll inward enough. You’ll know that you have low arches when you see little to no concavity under your foot. Your arches aren’t defined because of how your bones, tendons, and muscles are formed. As a result, your foot becomes more flexible than usual, causing overpronation. While you run, your foot rolls inward excessively. You’re going to need stability running shoes – a type of trainer that controls overpronation. Stability shoes have supportive components, commonly on the midsole and heel, to correct the excessive flexibility. For example, the Asics Gel Kayano 25 has a Trusstic System which promotes torsional rigidity. It also has the Dynamic DuoMax system which helps reduce over-pronation when running. Other stability shoes are even more packed with supportive components to totally stabilize the foot. These shoes are commonly referred to as motion control shoes. For example, the Brooks Adrenaline GTS 18 has a Diagonal Roll Bar which allows the body to be in proper alignment during runs. It also has the DRB Accel unit which offers a balanced hold to the underside of the foot. This is the most common arch type. Plenty of people have medium or neutral arches. The rise of the arch under the foot is neither high nor low, but the right amount. Because the foot rolls inward sufficiently, this arch type is the most ideal for impact absorption upon landing. Runners who pronate normally don’t need much support on the arch. A neutral running shoe will do. Check the Brooks Ghost 11 from RunRepeat. On the midsole, it has the BioMoGo DNA Technology which adapts to the force it receives. This component enhances the impact absorbing characteristic of the arch. Other components of the Ghost 11 that complement impact absorption is the two separate units of crash pads. The first unit on the heel enables a soft landing, while the second unit disperses the impact of the foot strike and guides the foot towards a more efficient toe-off. Runners with high arches have a prominent rise on the bottom of their feet. The area of the foot that rises barely touches the ground. There are instances where the rise is so prominent that there is no ground contact at all. This causes the foot to be more rigid or less flexible. Those who have this arch type are called supinators or underpronators. In supination, the foot rolls outward instead of in. In other cases, it’s possible that the foot pronates but only slightly. Most supinators are prone to foot pains and other foot problems because of the stride’s mechanics. Since the foot doesn’t have the ideal structure to move flexibly, a shoe that focuses on cushioning, with elements of support, will work best. Choosing shoes for those with high arches is a bit complicated because runners can go for neutral running shoes or stability ones. The idea is for the runner to feel as comfortable as possible during runs. You may check out the Asics Gel Fortitude 7, a neutral running shoe which was found to be well-cushioned and unbelievably comfortable. There’s the Mizuno Wave Inspire 14 – a stability shoe that many reviewed to be helpful for foot problems like plantar fasciitis. What does pronation mean to a consumer? So why does a runner or a consumer need to understand the different arches and pronation types? Does having a specific arch type really affect the performance of runners? These are good questions. For years, there has been much debate about arch support and what effect it has on runners. On RunRepeat, we’ve spent 185 hours to go through 150+ studies of pronation. It has been found that there is no significant difference in balance, the risk of injuries, and running economy with runners who are using shoes with the right arch support. However, there was a difference with the level of comfort that runners experienced, as well as their recovery process. Comfort is a big factor when running. If you don’t feel comfortable in your shoes, your performance will be affected. Even if you don’t run seriously, you will still feel some pain when walking or standing for long periods of time with shoes that do not have the right arch support for your feet. This is why understanding arch support and getting the right shoe is important. If you want to read more about the study, click here. Now that you understand the different arch types, as well as pronation, better, the next step to take is to determine the type of neutral running shoe that can best cater to your needs. What types should you consider, and what features should you watch out for? From the name, a neutral shoe for the trail is designed to be robust to take on different conditions. There are different trail shoes for different types of terrain and weather. For example, there are trail shoes that have a breathable upper for summer runs. Meanwhile, there are those with protective uppers to keep the foot dry and warm for rainy or snowy conditions. Outsole Reliability – terrain topography and composition vary from one place to another. If you plan to run on technical terrain, the outsole of your neutral running shoe should be able to handle it. This means that you have to take a look at the grip, traction, and durability. Midsole Protection – most trail shoes have extra components on the midsole for protection. For example, Rock Plates are added as extra layers of protection from objects that could potentially injure runners during trail runs. These components lessen the impact of blunt or sharp objects on the underfoot. Overall Comfort – although a trail running shoe is seen as robust and full of special features, you shouldn’t forget that comfort is still very important. You should be able to run and walk comfortably in your trail running shoe no matter how packed with features it is. This type of running shoe was meant for the road. Its outsole and its features aren’t too protective and robust when compared to the trail shoe. It can be used to run on common surfaces, like asphalt, and contraptions, like a treadmill. Many use a neutral running shoe for the road for different activities – walking, working out, weight lifting and sports. This is the type of neutral running shoe you should be considering if you’re looking for an all-around kind of footwear. Level of Cushioning and Responsiveness – there are runners who prefer a highly cushioned shoe. Some want just a little bit of cushioning to make way for better responsiveness. It depends on a runner’s preference, foot type and stride mechanics. You should go with whatever level of cushioning and responsiveness you prefer. Upper Material – the upper material will highly depend on the kind of running or activities you will do. If you want to use your trainer for going to the gym or weight lifting, then the upper needs to be breathable yet supportive. If you want a road shoe for the winter, there are variations where the upper is winter-ready or is made of a material that warms the foot up. Fit & Comfort – definitely, you would want a shoe that’s comfortable and that fits correctly. There should be enough room in the toe box. The midfoot and heel should feel secure without any constriction or limitation in movement. Minimalist shoes are considered as neutral running shoes because they offer no arch support. They are designed to mimic barefoot running. The outsole of a minimalist shoe offers some protection, but the idea is to allow the foot to feel the ground considerably. Commonly, a minimalist shoe is used by runners to improve foot strength and arch function. However, it is not for everyone as those with previous foot injuries or problems need to check with their doctor before running or training in a pair. Heel-to-Toe Drop – typically, a minimalist shoe, otherwise known as barefoot running shoes, have zero to low drops. Since the idea is to allow the foot to move naturally and feel the ground, a zero drop shoe is ideal. Flexible – our foot’s mechanics include bending in all directions. If your minimalist shoe is too stiff, you are hindering your foot from moving naturally. Roomy Toe Box – the toes should have enough room to splay or spread. Your toes should feel free and not pinched. When finding running shoes, one of the struggles that both runners and consumers face is processing reviews. Normally, it requires jumping from one site to another, then making sense of the ratings based on different reviews. Well, you don’t have to look further for aggregated reviews on specific neutral running shoes, because you will find most of them on the website. On RunRepeat, each shoe is given a rating, referred to as the CoreScore. These scores are based on different evaluations by different users and experts. The score is converted into a 0-100 scale. The higher the CoreScore, the better the reviews are. Nike Air Zoom Winflo 4 - Many appreciated the Nike Air Zoom Winflo 4 for delivering a responsive and well-cushioned ride. Plenty of reviewers also appreciated its style and sleek-design. It was recommended to those looking for a comfortable neutral running shoe with great durability at an affordable price. 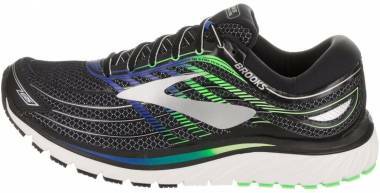 Brooks Ghost 11 - A good number of reviewers considered buying a second or third pair of this shoe because of how impressed they were. Also, many who shifted from using a different neutral running shoe to the Brooks Ghost 11 expressed how satisfied they were with its performance. Overall, a lot of runners and consumers were greatly appreciative of the shoe’s features and functionality. Salomon S-Lab Sense 6 - Many trail runners praised this neutral trainer for the amount of cushioning, grip, and protection it provided. On top of that, the comfort it delivered was also admired. In conclusion, the Salomon S-Lab Sense 6 was designed to be a neutral running shoe for the trail that provided excellent off-road performance. Adidas Supernova Glide Boost 8 - The Adidas Supernova Glide Boost 8’s quality and performance was well-received by a lot of runners. The technologies designed into the shoe made it responsive and adaptable to movements. It was highly recommended as a neutral running shoe that delivers a great running experience. Salomon Speedcross 3 CS - The Salomon Speedcross 3 CS is a neutral running shoe for the trail that offers protection and sufficient grip. Many appreciated its upper for being weather-resistant. The aggressive tread was also mentioned to keep trail runners from slipping. 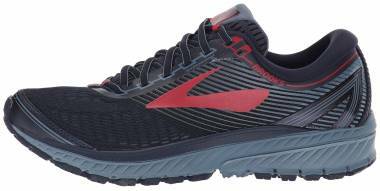 Overall, the shoe was found ideal for trail short runs, as well as daily trail runs. Throughout this guide, we discussed pronation, types of neutral running shoes, useful features to consider and tops picks. Hopefully, this has been helpful in helping you decide the neutral running shoe that fits your lifestyle needs the best. 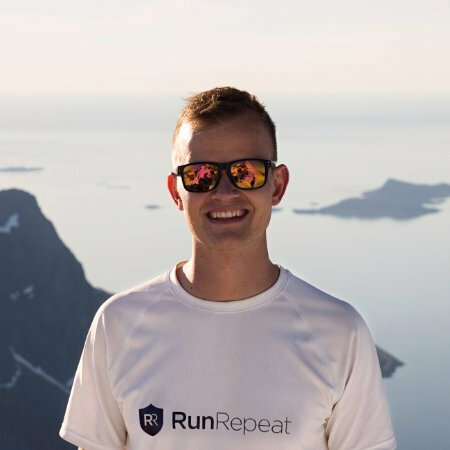 If you would like to search for specific shoes, head over to RunRepeat.com which contains aggregated reviews, not just for running shoes but, for sneakers, hiking, training, basketball and football. 1. What size should I get for my neutral running shoes? Your size will ultimately depend on the brand and model of neutral running shoe you are getting. There are brands that make a particular model that’s true-to-size, while there are others that make shoe models that are bigger than their actual size. What you can do is actually wear the shoe to check the fit. If this isn’t possible, as you are making an online purchase, double check the sizing guide on the website you are ordering on for accurate measurements. 2. Is it alright to use custom orthotics with the pair I am using? Yes, custom orthotics can be inserted into most shoes. However, the fit may be affected. If you’ve been wearing custom orthotics, it’s best that you bring them with you as fit your shoes. If you’re ordering online, check to see if the insert that comes with it is removable. If it is, then you can easily replace it with your own insert. 3. Can male runners fit into running shoes for females and vice versa? Typically, there are some female running shoes that were designed for the female foot. Ladies’ arches tend to be higher so there are neutral running shoes, like the Adidas Ultraboost X, which caters to the anatomical difference. However, it is possible to interchange shoes as long as the sizing is right. Just remember that a size 7 in men’s will not be the same as a size 7 in women’s. 4. I have wide feet, what shoes will fit me best? When your feet are wide, it’s best to get neutral running shoes designed for your foot shape. Shoes, like the Under Armour Charged Bandit 3, have wide options other than the standard width. There are other shoes that even have extra wide and ultra wide options. When there’s no wide option for that should that you want, you can go half a size up or just go with your usual size as long as the fit is comfortable for you. 5. How will I know the width of a neutral running shoe? 6. If there’s a wide option, will there be a narrow option as well? 7. How long until I replace my neutral running shoes? How long your shoe will last depends on its construction and how you use it. For example, if your outsole is made of Continental Rubber, then you can expect it to last longer than other outsoles that are made of a less tough material. The midsole is also a part of the shoe that you need to watch out for. If it doesn’t give you that bounce that it used to, then it’s time to replace your neutral running shoe. A good rule of thumb is to track the mileage you’ve one on your shoes. You should be able to get somewhere between 300 – 500 miles off of your trainers. So, if you run 100 miles in a month, you can expect to replace your neutral running shoes in about 3 to 5 months. 8. Is it ok if I keep using my running even if it’s old? Outsoles that are already wearing out. Midsoles that don’t absorb shock as efficiently as before. An upper that’s already torn or lose. Because you have significantly worn your pair for a period of time, it’s not going to provide as much support and protection as it was before it reached its limit. 9. Some experts say to buy two or three different pairs of shoes for running, is this correct? Some experts will say this because it’s good for your feet (and body) to rotate running shoes. In cases where we aren’t wearing the correct shoes that addresses our problem (i.e. we feel pain during runs or the fit is way off), our body compensates for the imbalances. As a result, our risk for injury is increased and the problems we already have are aggravated. One study, which you can read here, suggests that we can lessen the chances of injury by 39% if we rotate with at least two (2) running shoe models. On top of this, after you have used a running shoe, it will take about 24hours for the cushioning to bounce back. If you bought two pairs of neutral running shoes and you use one today, you can let the one you recently used sit on your shelf to recover as you use your other pair. In addition, different runs call for different shoes. If you are into long-distance running, you might want to get Hoka One One shoes, popular to long-distance runners because of its cushioning. If you are into trail and road running, then you might need two different pairs that can adapt to the surface you will run on. So, consider the kinds of runs that you usually do. 10. Do affordable shoes have reliable features? Of course! There’s this notion that implies the more expensive the shoe is, the better it will be in terms of performance. In some cases, this may be true. However, there are affordable shoes out there that perform just as well, or even better, than those with a higher price tag. The more premium shoes may have a higher price on them because of the technologies that they are equipped with. However, it doesn’t mean that they will always out-perform shoes with a lesser price. In fact, based on 134,867 reviews of 391 running shoes from 24 brands, expensive running shoes are not better than more affordable choices. The inexpensive running shoes are actually better rated than those that are on the higher price range. If you’d like to read our full data analysis, you can click here. 11. Can I use my running shoes for other activities? Will they perform well even if I am not running? Yes, definitely. Most consumers use their neutral running shoes for doing different things. Some even use them as a lifestyle sneaker, meaning that they buy running shoes solely for fashion. The Adidas Ultraboost running shoe is a good example of this. However, aside from the Ultraboost series, there are other shoes in the market that offer versatility. All you have to keep in mind is the style, maybe the cushioning, and the level of comfort the neutral running shoe delivers. 12. Can I wear my neutral running shoes in winter? Are your neutral running shoes winter-ready? If the upper has been specifically designed to withstand the cold or the snow, then yes. However, please remember that not all uppers were designed for winter running. Breathable uppers made of materials like mesh, for example, aren’t waterproof. Therefore, they won’t be ideal for winter runs in the cold or snow. In most cases, shoes with the mentioned upper technologies will be for running on the trail. However, there are also a waterproof road running shoes available in the market. There are also ones that can be for both the road and the trail. For example, the Adidas Ultraboost All Terrain. 13. Do I still need to break my shoe in? There are neutral running shoes that can be worn right out the box. They immediately feel flexible and comfortable enough to run in. But, this isn’t the case with all neutral running shoes. There are some that do require a break-in period of about three days to a week, depending on the shoe’s construction. Breaking in a running shoe is essential because you need your pair to work for you and not against you. Your foot requires a bit of time to get used to the new shoe. And, the shoe needs the time to, in a way, fuse with your foot, loosening the upper to bring you the right fit. 14. How do you break a running shoe in? Walk around the shoe before running in it. Wear it to work if you’re allowed or wear it to the grocery store. Go on short runs after walking in them. Alternate your new pair with your old pair. Check the fit and the level of comfort you experience. If the fit and comfort level is good, then you can continue using your shoe. 15. What if I don’t feel comfortable after the break-in period? There will be cases where you still don’t feel right in your shoe after the break-in period. If you still don’t feel comfortable after breaking the shoe in, it’s possible that you may have the wrong shoe size. It’s best to return the shoe and replace it with one that feels comfortable to run in. 16. Will the retailer I bought from accept returns? This is a great question. There will be instances where the shoe won’t feel comfortable to run or even walk in. So, most retailers (both online and offline) have a return policy in place in case this happens. Before buying a pair of neutral running shoes, it’s best to check the specifics of the return policy so you know exactly what to do.